A popular way for individuals to save for retirement is through a Roth Individual Retirement Account or Roth IRA. Any individual who has earned income may open and contribute to a Roth IRA. Earned income includes any money earned from salary, wages, tips or commission. It does not include income generated from dividends, interest and rental property. If an individual has too much earned income they will not be able to contribute to a Roth IRA. The 2017 limit for Modified Adjusted Gross Income (MAGI) for an individual filing as single on their tax return is $118,000. So if an individual earned more than $117,000 they will not be able to make the full $5,500 contribution. The 2017 income limit for married individuals is $186,000. So if together the married couple earned more than $186,000 they will not be able to make the full $5,500 contribution. What makes a Roth IRA different from a Traditional IRA? 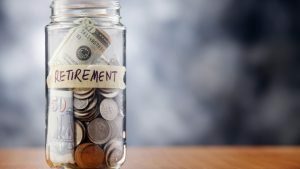 The main difference between these two types of retirement accounts is the tax treatment of the contributions and distributions. Contributions to a Roth IRA are NOT tax deductible. Meaning that the individual pays taxes on the money he/she puts into the account each year. However, Roth IRA distributions are NOT taxed. In order for the distributions to be tax-free, certain requirements must be met. Contributions to a Traditional IRA are tax-deductible. Distributions from traditional IRA’s are taxed as ordinary income. Another main difference is the required minimum distribution (RMD). There is no required minimum distribution for individuals with a Roth IRA. This is because the money is already taxed on it’s way into the account. The government has no preference when the money comes out of the account because the taxes have already been taken out. With a Traditional IRA an individual must begin taking the money out of the account by age 70.5. What are the similarities between a Traditional IRA and a Roth IRA? In both a Traditional IRA and Roth IRA the earnings grow tax-deferred. This means the individual with the account does not pay taxes on the gains or losses each year. Tax deferral of earnings is one of the main advantages to opening either a Roth or Traditional IRA. The amount an individual can contribute to a Traditional IRA and Roth IRA per year is the same, $5,500. Also both types of IRA’s allow for individuals over the age of 50 to contribute an additional $1,000 per year. The Roth IRA is a great way for young investors to start out. Most 20 and 30 year olds will not be close to the income limits, so the full contribution will be able to be made in most cases. Both types of IRAs have their advantages and disadvantages, it all depends on the individual’s personal situation. Either way the most important thing to remember when it comes to saving for retirement is to actually SAVE MONEY!